Will high-tech save or sink future elections? 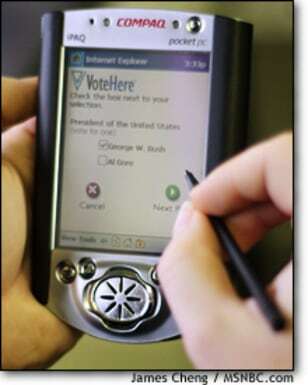 VoteHere's Jim Adler taps his way through a demonstration presidential ballot on his Pocket PC. He says such mobile devices could use his company's software system to register votes. Skeptics aren't so sure that's a good thing.